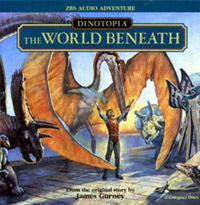 This week we began the serialized audio dramatization of Dinotopia: The World Beneath, but unfortunately the track is no longer available. You can order the full production below. 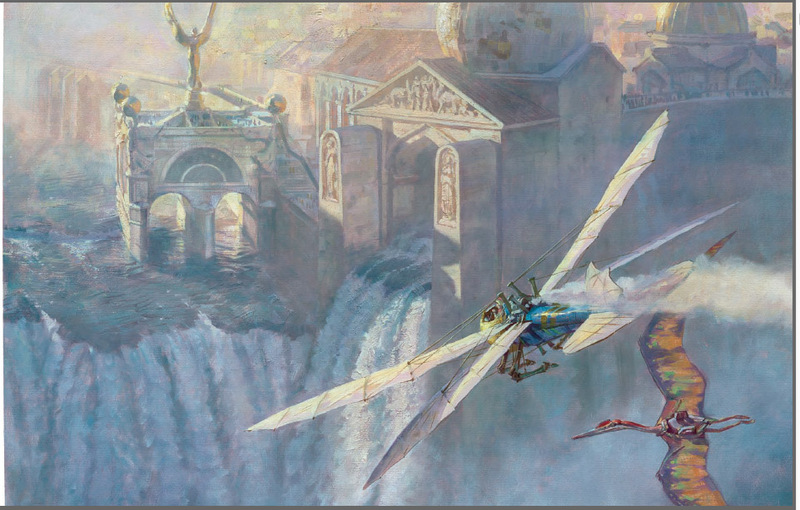 The scene opens in Waterfall City as Arthur talks to his son Will about test-piloting his newfangled Dragoncopter on its maiden flight. Producer Tom Lopez and composer Tim Clark pulled out all the stops to immerse us in the acoustic environment, with the roar of the falls, the chugging steam engine, and the crowds on the ground. We then follow Will into Arthur's laboratory, where they wonder about the mysterious stone that Arthur found on his journey below ground. Episode 2 arrives in a week. Each short episode will only be live online for one week, and then it will disappear. You can also order the original printed book from my web store and I'll sign it for you. (Ships via Media Mail within 24 hours of your order. US orders only for the book, please). 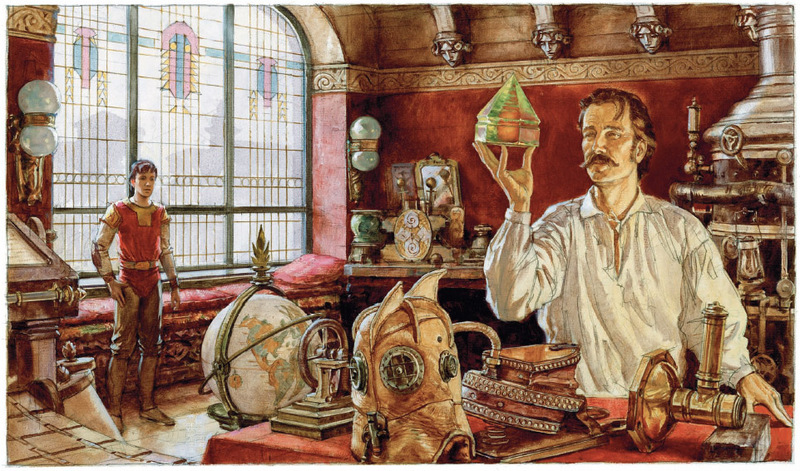 The book is also available from Amazon : Dinotopia, The World Beneath: 20th Anniversary Edition (Calla Editions) . 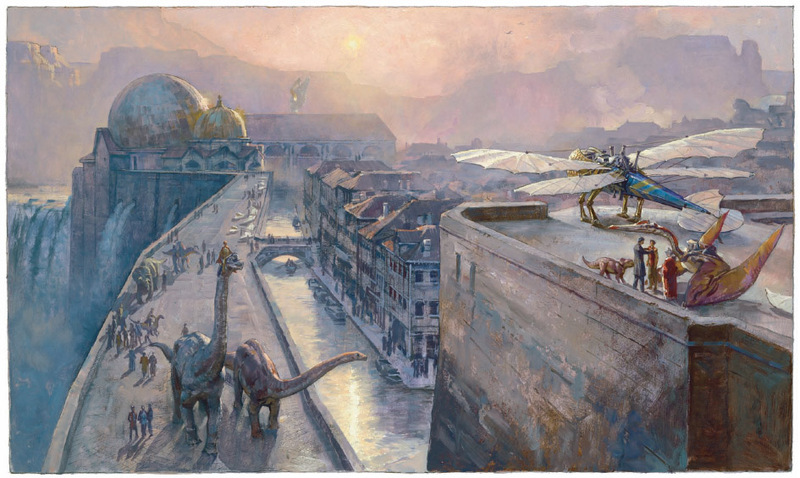 I was just wondering, have you ever written about or told the story of how you went about getting Dinotopia into the world? How you found a publisher? Things like that. It would be interesting to hear the story of it.